A proper mustache demands respect. Growing the Bears’ list of championships, nabbing Super Bowl titles as both player – and coach? That demands something epic. And epic is what we've delivered by bringing the Ditka Dash to the Windy City. Since its inception in 2013, race participation has grown by 20 percent each year. Maybe it’s the aviator shades, cigar-smoking patio or the one-of-a-kind race medal. Or maybe it’s the chance to win a Polish sausage dinner, stache-to-stache with the legendary coach himself. Da race that thinks it's a party. 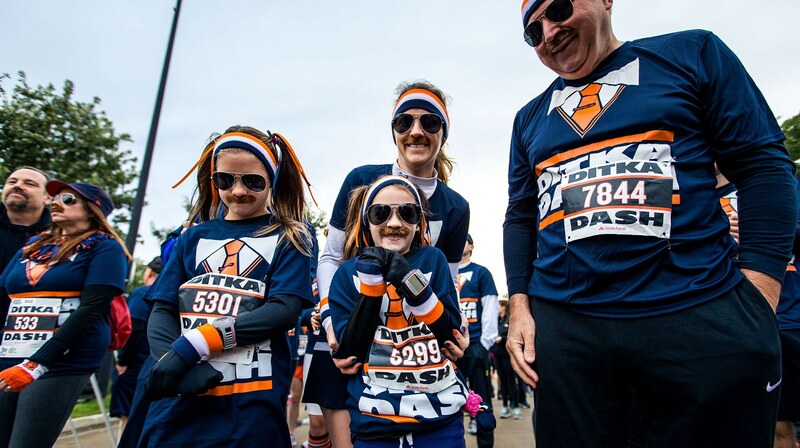 The real party – the mustache bash – starts at the finish line. But from the minute Coach Ditka sounds the starting air horn, this self-timed race stays action-packed, unfolding lakeside within some of the most solid route strategy Run Mfg has ever designed. The setting itself is thrilling, with the race starting and finishing near Soldier Field, a mecca for football and the second-oldest stadium in the NFL. 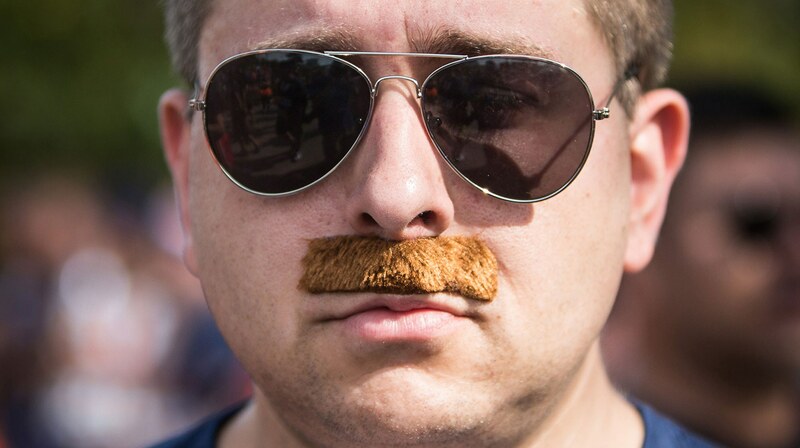 Shortly over the starting line, runners can get their aviator shades shined up, be entertained by Da One Man Cowbell Band or score a tune-up at the Mustache Aid Station. The SNL-inspired Super Fan cheer zone lifts spirits about halfway through the course, followed by the Special Olympics high-five cheer zone for an extra boost. A detour from typical lakefront courses, the path includes a run through McCormick Place tunnel, where DJs spin what’s known as the Ditka Dance Party. It’s true. The line between race and party is truly blurred at every turn of this event, making it unlike anything else in the city. This race takes on new life each year – and it just keeps getting better. Design-driven execution of every highlight along the way keeps fans, runners and sponsors coming back for more. And it’s all because of one character, a man who has inspired generations of Bears and sports fans alike. 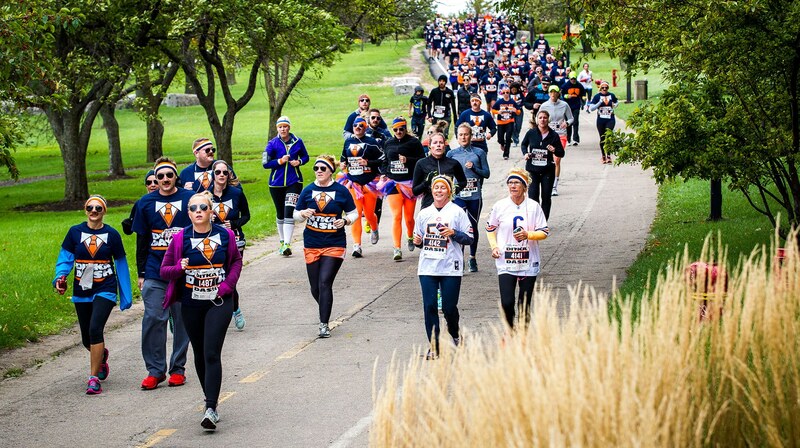 We can think of no better reason to run for a good cause – and, to have a good time. Run Mfg created the best damn race in Chicago, hands down.